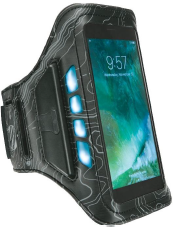 OXNARD, Calif. - July 13, 2017 - PRLog -- SCOSCHE (pronounced skōsh) Industries, innovators of award-winning consumer technology and car audio products and accessories, announces the availability of the innovative new LitFit™ Smartphone Armband Case with Safety LEDs (part number: ABL). The LitFit™ keeps your smartphone safely attached to your arm while you run, bike, workout and more. With the built-in LED, you'll be much more visible in the evening and in darker environments, making your activity safer. * Small opening at the bottom of the case allow cables to be plugged into your device while it stays protected in the case. * Compatible with iPhone 7 Plus/7 Galaxy S8/S7 and more. "The new Scosche LitFit has it all – style, adjustable wearing comfort, smartphone access/usage convenience, storage, advanced lighting technology and most important, safety benefits," said Chris Cowles, director of marketing at Scosche. "It works great when you are biking, running, walking, working out at the gym and more." 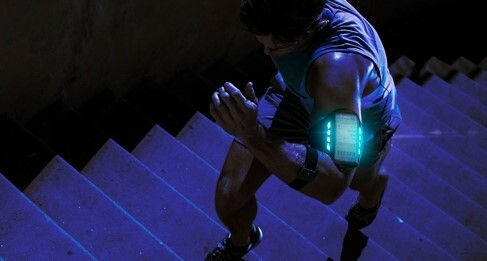 The new LitFit™ Smartphone Armband Case with Safety LEDs (part number: ABL).is available now at scosche.com for $29.99 MSRP. Follow @SCOSCHE on Twitter, Facebook, GOOGLE+, Instagram, Pinterest (https://www.pinterest.com/scosche/), LinkedIn (https://www.linkedin.com/company/scosche-industries-inc) and YouTube (https://www.youtube.com/scosche) for the latest news on all of the company's award-winning consumer tech and car audio products and accessories. 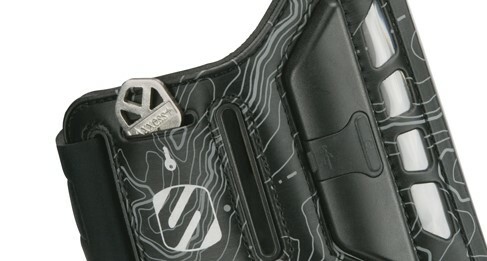 And check out the Scosche Blog (http://www.scosche.com/blog/) for informative articles on emerging technologies, as well as our products.